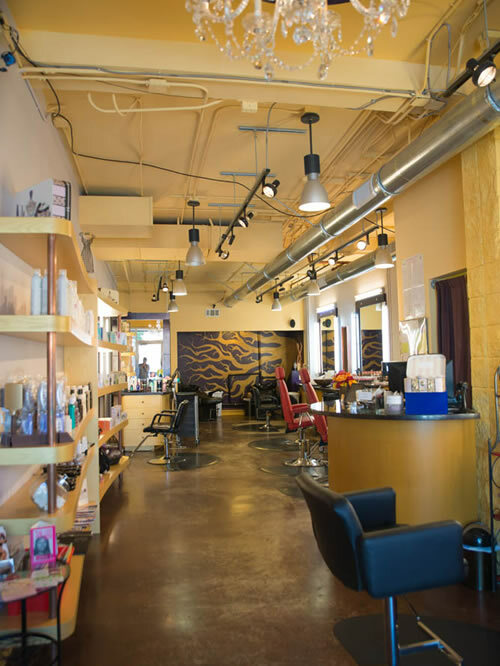 How Would You Make Your Salon Experience Different? This question was the seed that Avital Beauty Lounge has grown from. Far from a static answer, we are continuously improving the way we do business. From the products we carry to the services we provide to the atmosphere we foster - it’s all a work in progress with the intention of offering our clients the very best salon experience possible. Both our products and stylists are meticulously hand selected by Avital to ensure they meet her extremely high standards and support the Beauty Lounge’s mission of giving our very best to you every day. How would you make your salon experience different? We’ll forever continue to ask this question. Please feel free to share your ideas with us anytime. Avital is a professional makeup artist who has worked in the Bay Area and abroad for over 18 years doing makeup for celebrities, politicians, brides and professionals. After getting pregnant with her first son, Avital realized how important healthy lifestyle choices were, but had a difficult time finding healthy makeup and skincare products that were also stylish. Avital Beauty Lounge is the creative blend of her two ultimate passions, health and fashion. What Can Avital Beauty Lounge Do For You? We want your experience with Avital Beauty Lounge to be nothing short of spectacular! Our commitment to balancing individual beauty, fashion and style with healthy lifestyle choices permeates every aspect of the Lounge. The latest hair and color styles at Avital Beauty Lounge! Cutting edge haircuts for women, men and kids. Hair Coloring, Hairstyles and Updo's Using the industry best products! We create the PERFECT look from natural to smoky! Using our mineral based, paraben and talc-free cosmetics. Stunning variety of stylish make-up colors including custom blended foundation! Accentuate your lashes and brows with our tinting services! Get the stunning look you have always wanted! Also provide deeply relaxing facials using hand-selected natural vegan products!